If the rumour mill leaks online working overtime, are to be believed Lenovo’s new offering Moto G5 Plus is on the anvil to be launched late February at MWC 2017 event. 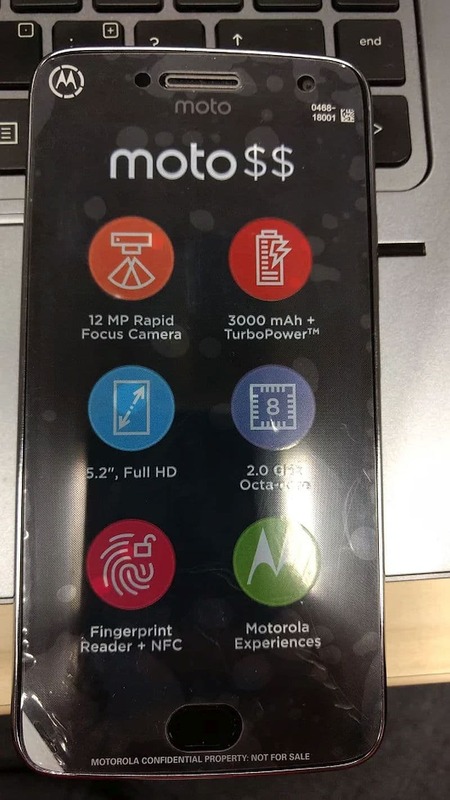 The new smartphone is likely to sport a 5.2 inch Full HD (1920 x 1080) display, below which will be a fingerprint scanner. It will be housing an octa-core Qualcomm Snapdragon 625 processor clocked at 2 GHz, paired with 4 GB RAM and 32 GB of default memory capacity, further expandable with a microSD card. The device is also expected to flaunt a 3,000mAh battery, which will support proprietary TurboPower fast charging. It will further feature Android 7.0 Nougat out of the box with 12-megapixel rear camera, a Sony IMX362 sensor with PDAF, 4K video at 30fps, and f/1.7 aperture. The handset is said to pack 5-megapixel front camera. Motorola had earlier announced that it will unveil a new phone at Mobile World Congress at the end of the month, and current rumors point to a new handset in the Moto G series. The upcoming Moto G5 Plus is expected to priced at BLR 1499 (approx. Rs. 32,132). However the company hasn't confirmed any of these specifications yet and thus they need to be taken with an iota of caution.